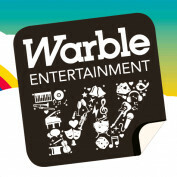 Warble Entertainment Agency is one of the UKs leading booking agents for live music, bands and entertainers. The agency has lots of unique wedding entertainment ideas and is also brimming with traditional musicians, such as String Quartets and Harpists. With a roster in excess of 2,000 bands and entertainers the agency has built a solid reputation in the wedding and events industry. Furhtermore, the company has worked alongside many of the UKs largest household name companies to provide entertainment for private parties and corporate events. With everything from Jazz Bands to Tribute Bands and Cover Bands right through to Fire Performers and Caricaturists or Magicians you can be sure to find something to suit the theme of your event and leave your guests in awe of your party. Although the music agency is based in the North West (Cheshire) of England, the entertainers and live bands are based UK wide meaning that wherever you are based Warble can ensure you recieve the best quality acts at prices that will not break the bank. Give Warble Entertainment a quick call or vist the website ro see how they can offer suggestions for your wedding entertainment or add a touch of wow to your party.